Hi there! 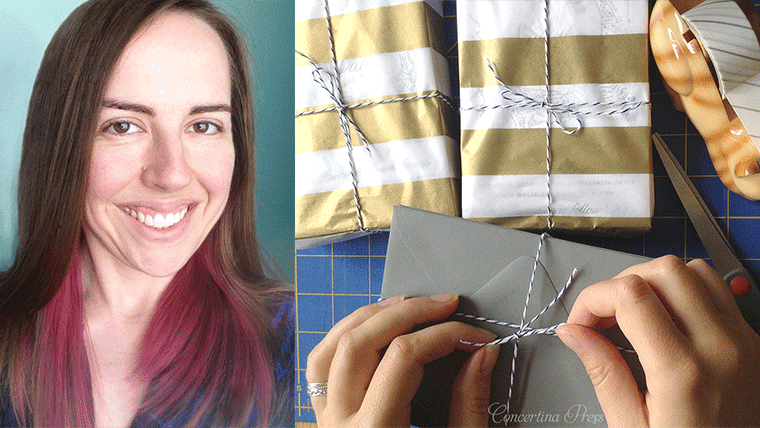 I'm Ruth, the owner and designer of Concertina Press nautical wedding invitations and stationery. When you order from Concertina Press, you can be assured that your order will be handled with the greatest care, because you will be dealing directly with me. After majoring in studio art in college, I worked in a scientific library where my love for antique biological illustrations grew - can you imagine my delight at opening an old journal from 1875 titled "Zoologische Abhandlungen" and seeing these gorgeous old pictures of fish and animals for the first time? The color and detail of the illustrations, preserved between the pages of old dusty journals for nearly 150 years were still as bright as they were the day they were published. These illustrations are now so old that they are in public domain, and I saw the opportunity to bring them back to life by making one of a kind wedding invitations, save the dates and stationery. While working at the library, I taught bookbinding classes in my free time, and during a stop at a lovely stationery shop to inquire about the possibility of teaching classes, I was offered a part-time job! Working in the shop gave me the experience I needed to start my own business combining my love of antique nautical illustrations and stationery, and that's how Concertina Press was born. I hope you enjoy it! It's the best job I've ever had. If you are interested in carrying my greeting cards wholesale, please contact me and I will put you in touch with my sales rep.